Earlier this year, my friend Chris, a single dad, asked me to help him research summer camps in the Miami area for his 9 year-old daughter. He also asked her what kind of things she wanted to do during the long, hot months ahead. We really couldn’t find the right fit and so, as they say — necessity being the mother of invention — decided to create our own summer camp! We already have an amazing resource: so many talented folks in the Miami creative and holistic community who already inspire others as teachers. I am proud to be co-founder of this new venture, or as I like to see it — adventure — which is also inspired by my event HeartCamp, a one-day retreat for women. I asked myself: what does every woman want, young and old? The answer: a place where she can be herself and express herself with joy. 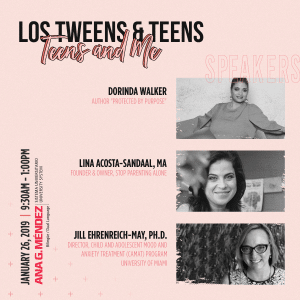 I also remembered those dreadful tween years — when a girl is not quite a little girl anymore, but not quite a teenager, either. We live in a very stressful world that runs at a frenetic pace and that is why we disconnect from technology to reconnect with our hearts when we’re at Blossom Camp. We’ll co-create fun activities with our campers and do so mindfully in a relaxed way. Stress is a no-no boo-boo at Blossom Camp. Most moms I talked to agree that this is the kind of thing we all would have wanted when we were tweens: a refreshing approach to summer, where we could relax, play and explore our creativity through art, writing, movement and even cooking, gardening and more. The moms even said they’d love a camp like this for themselves — and that’s something else I’ll be working on in the future! What could be better than a happy mother-daughter team? But for now, I’m excited to offer the best of me to the best of the girls who will join me and the other “happiness facilitators” on this summer journey. We are primarily an English-speaking camp but we are in Miami, a city thriving with cultural diversity. 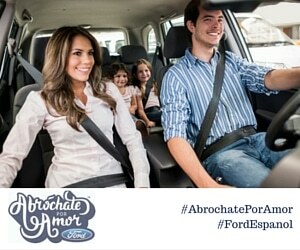 Hablamos Español. Aquí estamos para servirles con mucho placer. We offer day and weekly packages, on-going from June – August, 2016. To learn more, please visit our website and follow our Facebook page. 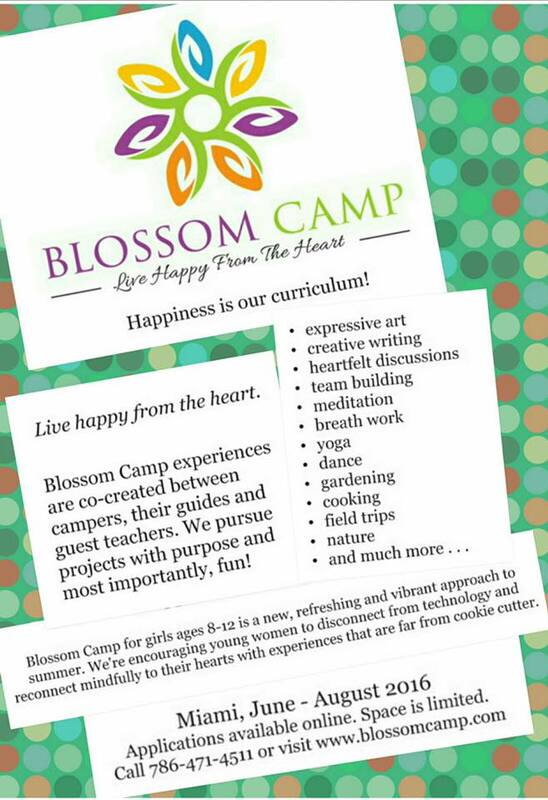 Maria de los Angeles is co-founder and happiness facilitator at Blossom Camp. She is also a yoga teacher and award-winning writer who loves to inspire others to find their own joy. Her nutrition and fitness success story was recently featured in Dr. Oz’s Magazine The Good Life. Her favorite color is blue. This entry was posted in Raising Tweens, Soul and tagged Blossom Camp, holistic, Miami, summer camp, tween girls. Bookmark the permalink.